World Water Day is an annual UN observance day that highlights the importance of freshwater. The day is used to advocate for the sustainable management of freshwater resources. World Water Day is celebrated around the world with a variety of events. These can be educational, theatrical, musical or lobbying in nature. The day can also include campaigns to raise money for water projects. 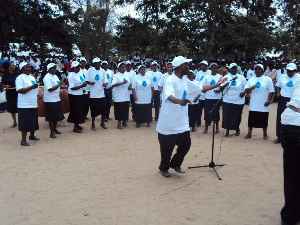 The first World Water Day, designated by the United Nations, was commemorated in 1993. Each year many countries celebrate World Water Day.